1. How are spa filters made? pools and swim spas: Paper or pleated spa pool filters and micron spa filters. 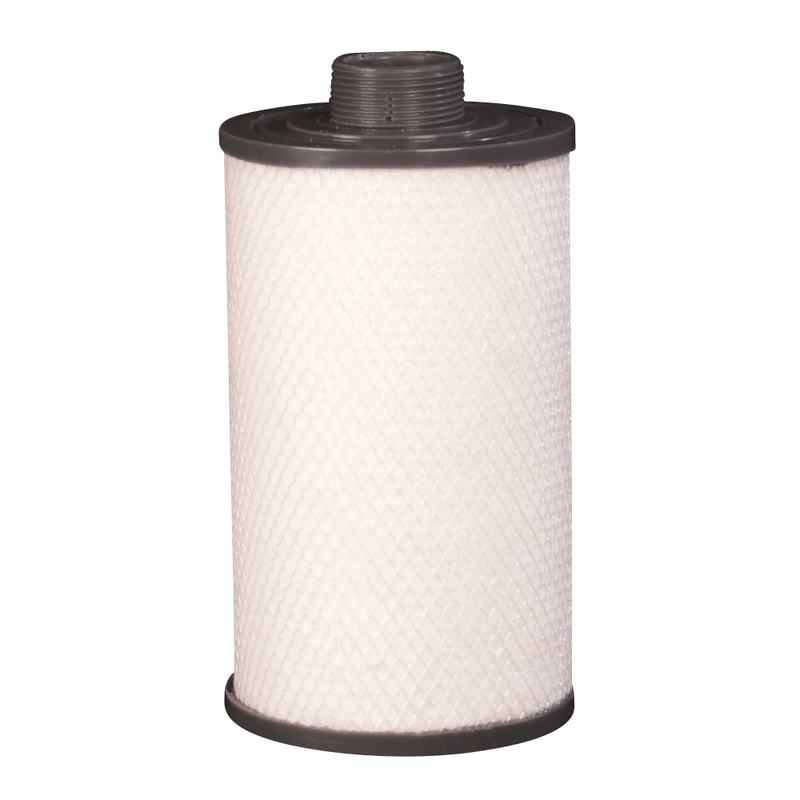 Pleated spa filters are the most common type of filters and are typically good for filtering out particulates 20 microns or larger. As the name suggests pleated filter cartridges are made from pleated filter material known as media. Why is it pleated you might ask? The pleats dramatically increase the surface area of the spa filter which increases the efficiency and reduces the overall size requirement. Micron spa filters are either used alone or in conjunction with pleated filters. Micron filters use a different "spun" style of filter media and typically are good to 5 microns so they are ideal for clarifying water. The advantage of micron filters such as the Purezone spa filters that they save money by reducing the amount of spa chemicals required to maintain water clarity. As with everything not all filter media is made the same and the quickest way some manufactures cut costs is by lowering the quality of the filter media bing used. Non factory authorized spa filters can be made from filter media that breaks down rapidly and does not clean out well causing it to become clogged an unusable much quicker than the higher quality spa filters. One more important aspect of spa filter construction to note is how the end caps are fixed to the filter media. Another way certain manufactures of low quality filters save money is to use lower qulaity process to attach the filter caps onto the filter media. This often causes the filter to come apart at the end caps very early in their life span. Take away: Replacement spa filters come in two main types, pleated and micron. Make sure to purchase filters from an authorized, reputable supplier that offers a guarantee. Poorly made filters can fail and cause damage to your spa. 2. How long will a spa filter last? There are a number of variables that affect the life of your spa filter such as the amount your spa is used, and how the filter is maintained. Over a period of time your cartridge will gradually block up and will need replacing. Pleated filters should be cleaned; micron filters cannot be cleaned but need to be replaced every 3-6 months if the spa pool is being used regularly. 1. The spa water is not staying clear. 2. The cartridge gets blocked quickly, and you have to clean your cartridge more often. 3. Restricted water flow and high differential pressure (differential pressure is the difference between the pressure coming in and the pressure going out, caused by a blocked cartridge). 4. A cracked or damaged cartridge, which is very rare unless the filter has been plugged or there is an issue with the spa plumbing. In a spa pool with very high use once a year is advisable but changing your filter at least every 18 months is considered a general rule depending on the maintenance regime. Take away: 18 months is the general life of a spa filter. After that pump efficiency may be lowered and the risk of damage to the spa is a possibility. 3. How do I maintain my spa filter? 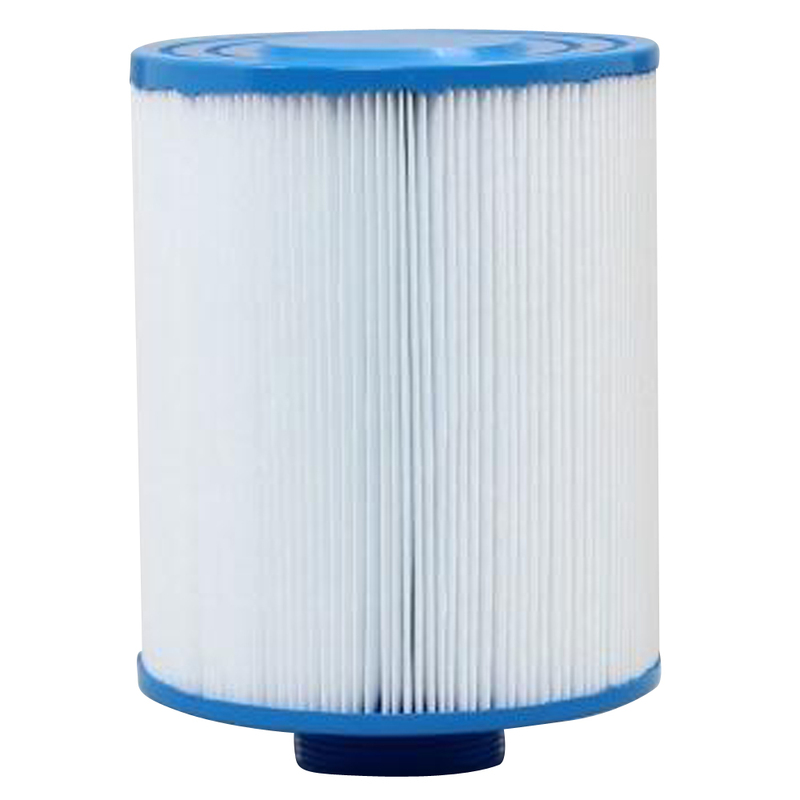 It is vital your filter cartridge is maintained correctly to maximize its life and usefulness. The life of a filter cartridge depends on how you treat it. Filters need to be cleaned and how often depends on how often you use your spa. We advise that you clean your filter at least every two months. Filter clogging is caused by soaps, chemicals, perspiration, body fats, oils and fine particles of dust or dirt. A blocked cartridge can put undue pressure on your pump and motor and decrease the life of these parts. Take away: You can save money, reduce the wear and tear on your spawhile prolonging the life of your filter with a few basic maintenantce steps. 4. How do I clean a spa filter? It is recommended that filters are washed using a garden hose working from the top down. 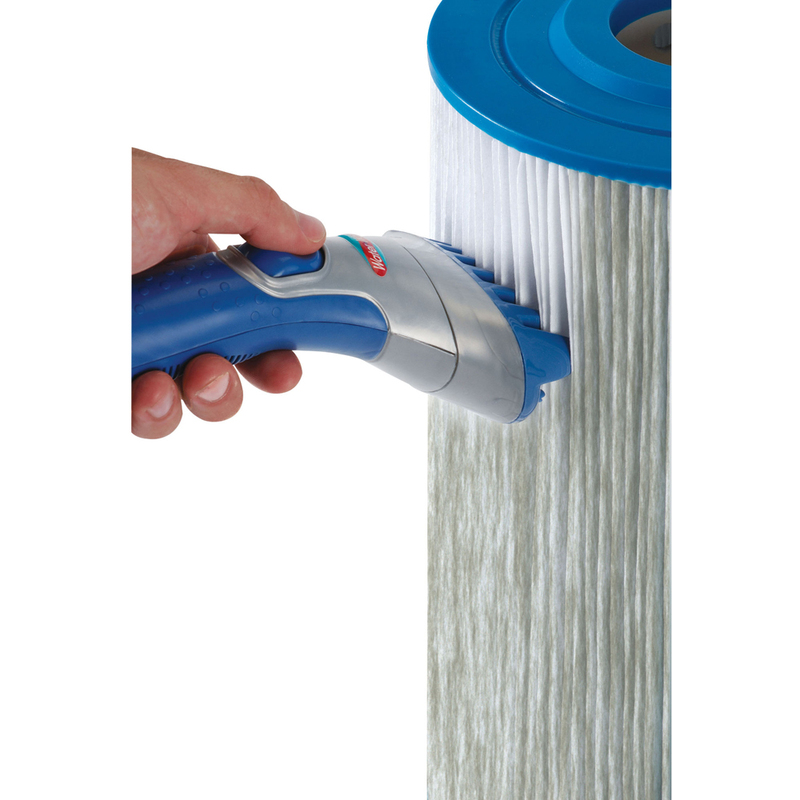 Using a filter wand will take less time, do a better job and the chance of damaging the filters is reduced. Do not use a high pressure hose, pressure washer or stiff brush. Soak the cartridge for at least an hour (overnight is preferable) in an approved filter cleaner solution. It is advisable to rotate two filters which will prolong the life of your spa filter considerably. One filter can soak in filter cleaner while the other filter is in service. Take away: Proper filter maintenance will ensure that spa filters last. Cleaning a spa filter is quick and easy using a filter water wand. High pressure hose or stiff brush should never be used. Buy high quality factory authorized spa filters here.